1LMNOLA » 2Photos » 3NFL Superstar LeSean ‘Shady’ McCoy W.T.H. Kinda Party Is He Tryin’ To Throw? W.T.H. Kinda Party Is He Tryin' To Throw? 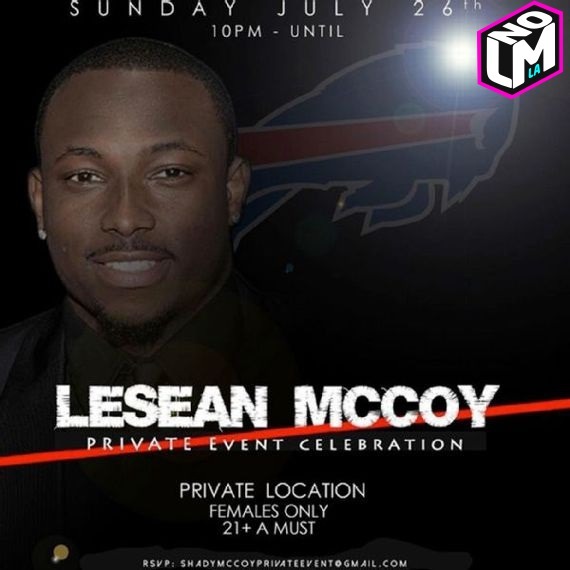 LeSean McCoy, an NFL running back for the Buffalo Bills is going to have a few friends over for an exclusive party Sunday night somewhere in Philadelphia. 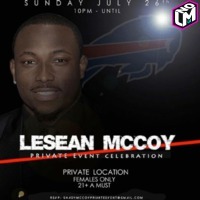 "Thank Your for Your RSVP to LeSean Mccoy's Private Extravaganza Taking place on Sunday Evening July 26th 2015! Below are the Following Requirements to Be Confirmed for the Event. 2. Please Submit 1 Picture AND Provide Social Media information I.E. Instagram, Facebook, or Twitter. 3. Upon Entry Patrons will be asked for ID's and to Sign Confidentiality agreement. 5. Upon confirmation Email you will receive Pick up/ Drop off Location and Attire." I wonder what kind of party this is going to be?? 10pm-Until… (Until? LOL) Now I see where dude gets his nickname 'Shady'. Heisman Trophy Winner: Matt Leinart Michael Sam Is Not Allowed!